As a result of modern technology, eating with the seasons is an all but forgotten ideal from the past. Americans have become accustomed to getting what they want, whenever they want it. So if that includes a tasteless tomato in January, then the grocery stores will provide it—even if quality suffers as a result. Growing up I never thought twice about whether or not the asparagus I was eating was in season, or if it was shipped a thousand miles to finally land on my plate. But since my ventures into the realm of local and organically grown produce from the Athens Farmers Market, I have had a hard time buying strawberries in winter or asparagus in fall. This is not only because I now understand the cost to the environment of shipping produce across the country, or because of the resulting nutrient depletion, but also because of taste! I never liked tomatoes until I tried a vine-ripened tomato freshly pulled from the stem. By eating foods when they are fresh and full of flavor, you’ll naturally increase your consumption of healthy fruits and vegetables. With limits on time, money, and availability, it is hard, if slightly unrealistic, to eat only food that is in season or locally grown and let’s face it, sometimes you want a banana! But making concrete steps towards eating seasonal fruits and vegetables can make all the difference in your diet. Here are some reasons that I have been making an effort to go for produce that is in season. 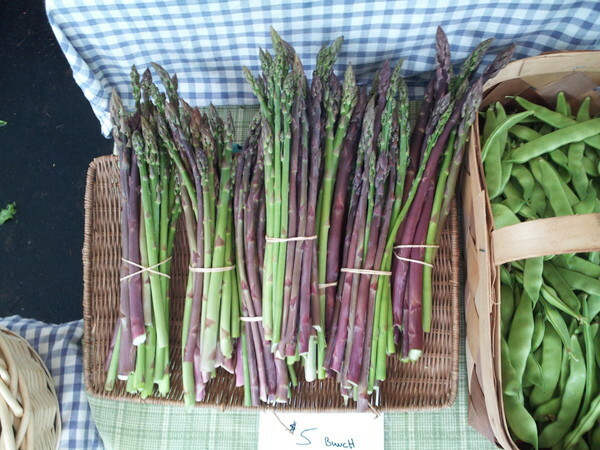 First, eating seasonally is intrinsically linked with eating locally. Foods that are in season are more likely to be purchased by supermarkets from local farms because it is cheaper. By taking the extra step and buying produce from the Athens Farmers Market, you know you are keeping your money close to home and are building up the unique and diverse community of Athens! Vendors at the Athens Farmers Market are from a limited number of counties surrounding Athens. Secondly, the highest nutritional value will come from fruits and vegetables that are picked when they are ripe and consumed as close to the harvest date as possible. Fruits and vegetables shipped long distances to your grocery store are often harvested before maturity so they will not spoil during transit, and will not contain their full complement of nutrients. Other measures to maintain freshness are often used, such as irradiation (use of radiant energy, including gamma rays, electron beams, and x-rays on approved foods to control spoilage and eliminate foodborne pathogens) and preservatives like wax to protect produce that will be refrigerated. There is no consistent evidence that these measures cause harm to the consumer. However, studies have shown that holding produce after harvest dramatically lowers nutrient content by as much as three-fold, and according to the FDA, irradiation lowers nutrient content as much as cooking. Why not choose the safer option and buy local food that is in season from farmers who care about the earth, their produce, and about the consumers they provide food for? Also, there is a reason that certain foods grow during different times of the year—nature intended it that way! Traditional Chinese Medicine practitioners recommend using specific foods to bring balance to the body and the environment. Each food has cooling, warming, or balanced effects on the body. In spring and summer, “cooling” foods will be in abundance to help combat the heat, and in autumn and winter, “warming” foods will be available for harvest. During spring, go for greens like Swiss chard, spinach, Romaine, parsley, and basil. In summer months, stick with light, cooling foods such as tomatoes, strawberries, squash, broccoli, cauliflower, and corn. In fall, go for more warming foods that include carrot, sweet potato, onion, and garlic. During the winter months choose more animal foods like fish, chicken, beef, and lamb, as well as the root vegetables like carrot, potato, onion, and garlic. Using the seasons as your guide for the weekly menu will lead you to choose the foods that are most suitable for your body during a particular season. The most noticeable difference between locally and sustainably grown, seasonal fruits and vegetables, and produce that is picked early and shipped long distances or grown in hothouses, is of course the taste. 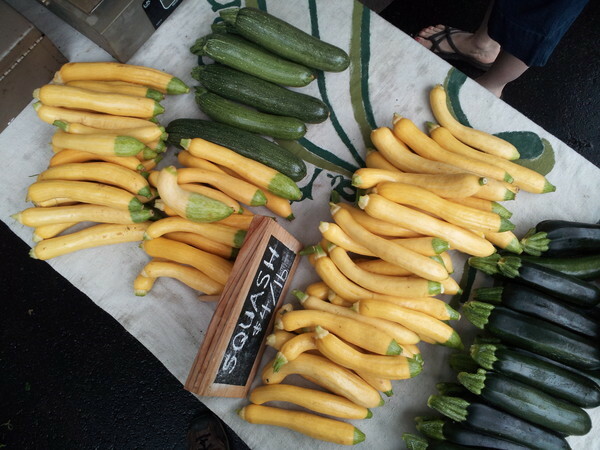 There is no comparison between the tough, tasteless squash that is present year round on supermarket shelves and the freshly picked varieties that are full of flavor found during the months of summer at the market. I have noticed extreme flavor differences between many lettuce varieties, arugula, onions, tomatoes, strawberries, okra, beets, asparagus, and many more fruits and vegetables that are found in both grocery stores and the Athens Farmers Market. And finally, my favorite part of eating seasonally is the ever-changing variety! By the time I get tired of salads in spring, it’s on to okra and squash in the summer. I spend less time staring down the endless aisles of options at the grocery store, and can just pop by the market and pick up a couple different vegetables that are currently in season and plan my meals around what is newly available! By shopping at the Athens Farmers Market I know I am supporting my community, getting high nutritional value, full flavors, and extensive variety. If you’re wondering what’s in season now, come check out the Athens Farmers Market and see what tasty new veggies you can find! You will be rewarded with a strong sense of community, and high quality produce that is full of flavor and packed with nutrition.